The Nielsons and The Wilcken: Livin' the Redneck Dream! I've always thought of myself as a city girl. After all, I was born in California and lived most of my life in West Valley City, Utah (which Billy refers to as "the Hood"). My mom was born in Queens, New York and moved with her family to the Los Angeles area when she was a teen. She met my dad while in California. They got married and had me and Aubrey, and then moved back to Utah which is where my dad was from. I remember many of my dad's stories about what it was like growing up on a farm. It was always hard for me to imagine what that had to be like because I had never spent time anywhere near a farm...then I met Billy. Over the past 10 years I have to say that I really have become aware of my "inner-redneck". In August, for our anniversary, I decided to surprise Billy with tickets to the Monster Jam World Finals in Vegas. Over the last three years, since Billy was diagnosed with MS, we have tried to take every opportunity possible to do the things we enjoy...now. I knew that if we didn't take the opportunity to do it now, that it would probably just remain a dream of Billy's. Day 1: Drove to Vegas with stops along the way to the Lehi Dinosaur Museum and the Lehi RollerMills (where Foot Loose was filmed). Arrived in Vegas, checked into Circus Circus Hotel and played games and caught a circus act in the Midway. Day 2: Drove over Hoover Dam and took a tour of the visitor center. Went back to the hotel and enjoyed more games and circus acts at the Midway. Took a stroll up the strip to check out some of the hotels and casinos. Day 3: Took a drive to Fremont Street and checked out all the shops. Drove back to the hotel and went to the Midway (again!). Took a drive farther down the strip to check out more hotels. Checked out the Nascars at the Nascar Cafe. 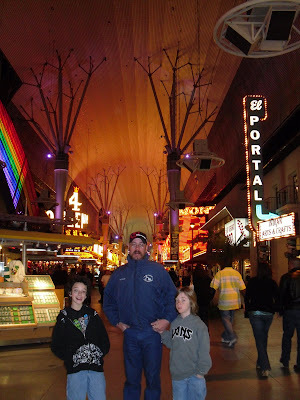 Drove back down to Fremont Street once it got dark to enjoy the Fremont Street Experience. Day 4: Drove to the Sam Boyd Stadium at UNLV to the Monster Jam World Finals party in the pits. Watched the monster truck qualifying event. Went back to the hotel (and of course, the Midway). Day 5: Drove back to Sam Boyd Stadium to participate in day two of the party in the pits. Watched the Monster Jam World Finals. Day 6: Spent one last morning at the Midway. Went to the shops on Fremont Street. Drove home. - walking across Hoover Dam - AMAZING!!! 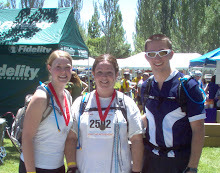 ...and it looks like we are all set on doing it again next year!!! I'm glad you had a fun trip and that you got to go. 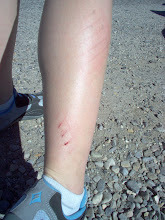 I love the new picture at the top of the blog and way to embrace your inner redneck! You might be a redneck....haha You are totally a redneck! Way to go!